Formulated to assist the brain when extra thinking power is needed, Brain Boost produces an elevated mental state. The blend was specifically formulated with Helichrysum and sandalwood and Melissa oils which are touted for brain function and known to cross the blood brain barrier and assist in carrying oxygen to the pineal and pituitary glands. BRAIN BOOST™ BENEFITS: Formulated to assist the brain when extra thinking power is needed, Brain Boost™ produces an elevated mental state. 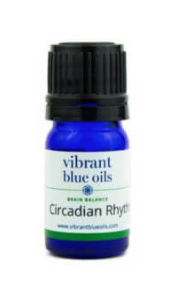 The blend was specifically formulated with Helichrysum and sandalwood and Melissa oils which are touted for brain function and known to cross the blood brain barrier and assist in carrying oxygen to the pineal and pituitary glands. BRAIN BOOST™ INDICATIONS Use it to develop greater focus, clear mental cobwebs and calm the mind for clearer thinking and meditation. HOW TO USE BRAIN BOOST™: Designed for aromatic and topical use. If using topically, we recommend apply 1- 2 drops on the back of the neck, on the temples, the bottoms of the feet and especially on the big toe. Always test on a nickel sized portion of skin first. Make sure your skin can handle the oil/blend before using. Dilute to start or if any redness occurs. For Aromatic Usage, hold the bottle under nose for 3 or 4 breaths. WHEN TO USE BRAIN BOOST™: Apply as needed when an elevated mental state is needed. 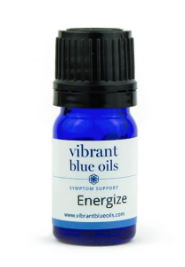 BRAIN BOOST™ INGREDIENTS: Vibrant Blue Oils Brain Balance Brain Boost™ blend contains a proprietary formulation of organic and/or wild crafted essential oils of Ylang Ylang, Melissa, Sandalwood, Frankincense, Cedarwood, Lavender, and Helichrysum. Ylang Ylang (Cananga odorata genuina): Helps calm the mind and soothe the nervous system. It helps relieve mental fatigue, anxiety, and tension headaches and bring emotions into proper balance. Melissa (Melissa officinalis): Helps relieve tension and nervousness, reduces stress and anxiety, lifts mood. 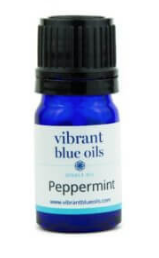 Helps support fatigue, headache, and irritability. Sandalwood (Santalum album): Because of its sedative properties, it helps you overcome low self-confidence, grief, and fear. Can help control OCD and calm aggressive and egocentric behavior. Frankincense (Boswellia Carterii): Helps support anxiety, nervous tension, and stress-related conditions. It can help fortify the mind. Cedarwood (Cedrus deodora): Helps to strengthen the nervous system and keep focus in the face of ADHD/ADD issues. Lavender (Lavandula angustifolia): Balances mood, reduces stress and tension, calms the mind and enhances the other oils in this blend for optimal effectiveness. Helichrysum italicum: Supports stress-related conditions, as well as treating depression.